I’ll be talking at Bath’s Royal Literary and Scientific Institution on 3rd July. 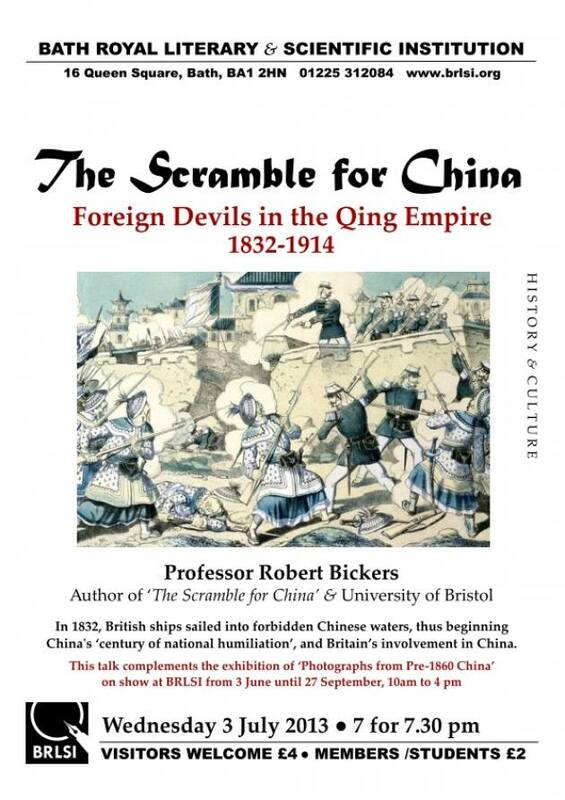 This is one of a number of talks to accompany BRLSI’s exhibition of the Vacher collection of early photographs of China. This entry was posted in Historical Photographs of China project, Scramble for China, Talks. Bookmark the permalink.